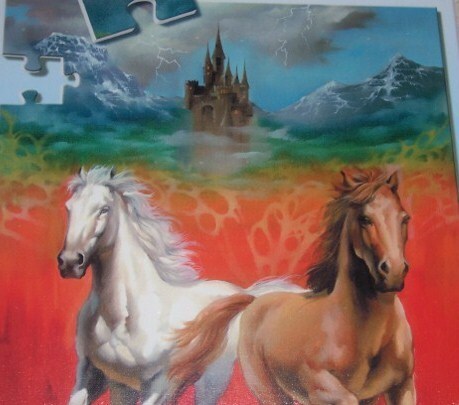 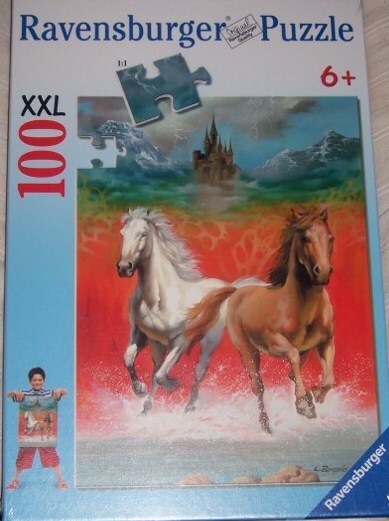 C P Treasures This beautiful Ravensburger Puzzle is entitled "Dashing Horses" Features two horses running through water above them is a castle in the clouds Puzzle has 100 XXL pieces 1:1 Features original Ravensburger quality Artist is Luis Bargallo Measures approx. 14 1/4" x 19 1/3" For ages 6 up New in box Check my C P Treasures Store for more great puzzles! Powered by Turbo Lister The free listing tool. List your items fast and easy and manage your active items.